End of June, I was feeling sick. I couldn’t seem to keep food down for very long and not many foods sounded that good. So, 5 days before my period was supposed to start, in the afternoon,’I took a pregnancy test. I left the test on the ledge of the bathtub while it processed and went to go check on the kiddos. I came back to a positive. I was shocked! And so excited! 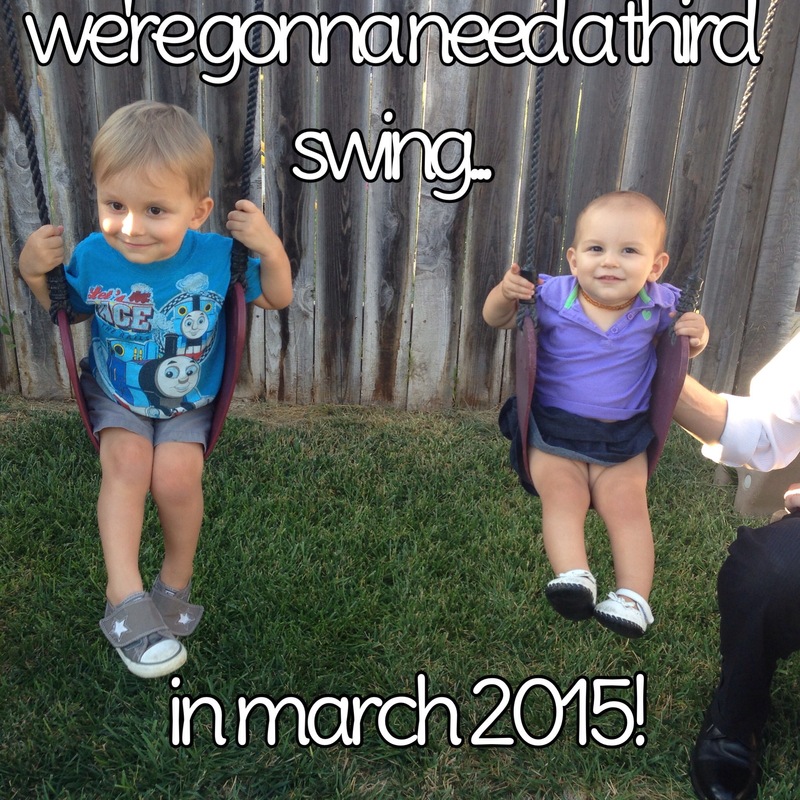 Because of how I had broken the news to Milkman the last two times, I decided to make it a happy reveal this time. So when Milkman came home from work I didn’t say anything and acted normal. The next morning I couldn’t hold it in any longer so I had Captain repeat after me: “mama is gonna have another baby!” I got it on film. Milkman was so excited and surprised. He hugged me and kissed me and shared in my excitement. We were both convinced that I was carrying another baby boy. I got healthy right away, working out often and cutting out sugar, determined to have a healthier pregnancy than the last two times. Even through the awful all-day nausea that accompanied my pregnancy, I ate as healthy as I could. On days where I wasn’t throwing up or doubled over in pain in the evenings, I would force myself over to the gym. We decided not to share the news of our pregnancy at all, and then once I hit my second trimester, we chose to tell our immediate families. When I got pregnant with Captain just 3 months after our wedding, some people were shocked but mostly polite. When I got pregnant with Mamitas 7 months after Captain was born, people were less than discreet about their opinions on having children so close together. So when we found out we were expecting another blessing, I felt like I wanted to protect this baby from judgement, and just enjoy the secret with my husband for as long as possible. A few weeks ago, right after moving. the kids and I went on a work trip with milkman to a nice hotel and while there I began contracting… It got up to 5 times an hour. I put the kids to bed and got in the bathtub and was chugging water. I called the OB office the next day and was told not to come in since I wasn’t bleeding. I said that I was concerned because 5 times an hour seemed a bit much this early in the pregnancy. The nurse suggested that I was dehydrated. I informed her I was taking in my usual 100+ ozs a day and she said if it got worse to call again. Within two days all my nausea disappeared, and though I was excited for a little more normalcy, I felt something was wrong. I began sleeping extreme amounts. I was going to bed at 8:30pm, napping with the kids during the day and falling asleep on my feet. I couldn’t get enough sleep. I began counting down the days to my next appointment, so I could hear that heartbeat. People were beginning to notice my belly growing and my friends were slowly finding out and giving me their love and congratulations. I pulled out all my maternity clothing to start washing it as I knew I would soon be unable to hide my condition in regular clothing. I got to my appointment and the midwife talked and talked and all I could think about was her turning on that Doppler. And then she did… And there was nothing. No rushing of the placenta, no train like heartbeat from the baby, no static from the baby moving. Just… White noise. Empty. She said she was going to bring in the ultrasound machine. I already knew. I texted Milkman and told him there was no heartbeat. When she got the ultrasound machine hooked up and started to scan me, I saw a completely, perfectly still baby on the screen. I didn’t even need to see the absence of a heartbeat to know the baby was no longer alive. I knew by the stillness. We’ve never gotten any good ultrasound pictures of our babies, because they move too much in the womb. All three have. A few tears slid down my cheeks. She began taking measurements and broke the silence. “I assume you understand what’s going on right now?” I nodded through my tears. “Are you okay, sweetie?” She asked. The midwife was very kind. She kissed each of my cheeks and held me. I called Milkman after she left the room to make arrangements for me at the main hospital to confirm our loss, and he wept. And I wept. I called my mama, who was with my babies and she cried. And later when I told my papa, he cried and held me and I felt like a little girl. Lost and yet safe in my papa’s arms. The rest of the day is a blur. I just remember everyone being very kind to me. Receptionists, ultrasound techs, nurses, all so sweet. 2. Be induced with cytotec and deliver the baby vaginally at the hospital. He strongly suggested I go with option 1. He said it was easiest and safest and the best option. I asked for details on the D&E and I don’t think I heard much after suction and “extracting the tissue piece by piece”. I told him I would need time to consider both and I would get back to him by Thursday. Over the next few days I asked Milkman what he felt most comfortable with. He asked me what I wanted but I needed him to answer before he heard what I wanted. He felt that the D&E would be safer and easier and quicker. He didn’t want to see me in pain and possibly have to deal with 24 hours of labor. I shared my heart with him. I wanted my baby to have the chance to be born whole. I felt like I owed my child that privilege. I told him I would never, ever judge a mom if she chose to do it differently. I can understand both sides really, but I just felt like I needed my baby to be born whole and with dignity. I could see that this made Milkman a little uneasy but he respected my decision. I began to feel very uneasy with my little one being tossed aside as medical waste after delivery, and began praying for peace, since we couldn’t afford the cremation. Within 24 hours my friends from Mamitas’ online birth group had raised all the funds needed for the cremation. I didn’t then, and I still don’t have words to describe the level of gratitude I have for each person who donated. Some strangers, some online friends, family, church members… I was dumbfounded. My little one would be born with dignity and would be taken from the hospital with dignity. The waiting was strange. The feeling of still being pregnant, but your baby being lifeless is a very odd sensation of being both full and very empty simultaneously. The worst were the phantom kicks. I’d swear that little body was moving and be excited for a split second, only to remember that the baby was not moving, because the baby was not alive. I sang many hymns. Read many Psalms. I kissed Mamitas cheeks extra and soaked in every smile from Captain. I ate so much chocolate. I read novels to escape my current situation. I cried often. I took long, hot showers. I felt so encouraged by scripture and by the floods of encouragement pouring in, but I felt a sadness that I can’t describe. I honestly don’t know how I would have survived this without my faith in Jesus Christ. I never felt despair, and it was because of leaning on The Lord. We were booked for labor and delivery at 7pm on a Thursday night. My mama took the kids and I asked milkman to stop at Michael’s on the way to pick up yarn. 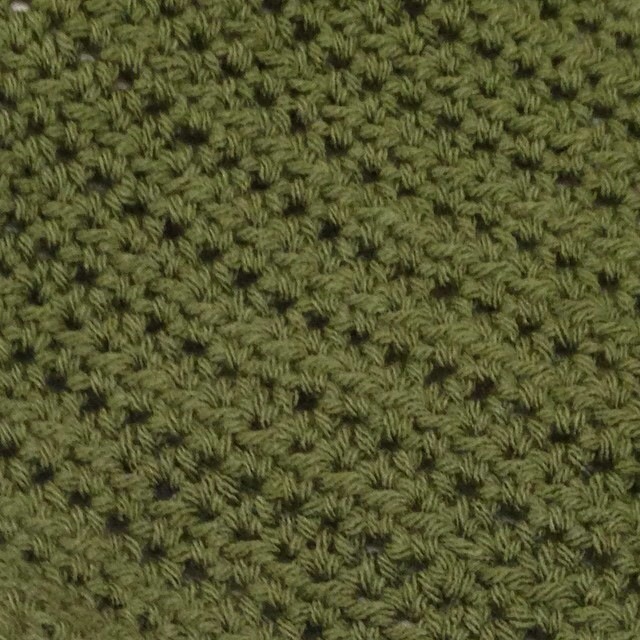 We picked out a lovely, soft green yarn for a blanket. I had no clue what state our little one would be born at, if I would even be able to see the baby, or the baby’s gender, but I thought if nothing else, having something to crochet might be therapeutic. We arrived at the hospital. Took the elevator to the 3rd floor and walked to labor and delivery, where we had delivered both Captain and Mamitas. I went to the nurses station and began crying when I was being checked in. Our very compassionate nurse took us back to a room far away from all the over rooms and was so sweet to us. I undressed and put on a hospital gown while milkman cried on the other side of the accordion door in our room. Our hospital plays a lullaby over the loud speaker every time a baby is born… And just as I sat down on the bed, it played. I lost it. Milkman lost it. We held each other on the hospital bed and cried and cried, knowing our baby would soon be born, but we would never hear a cry or a heartbeat. We sang hymns and praise songs, read scripture and prayed. 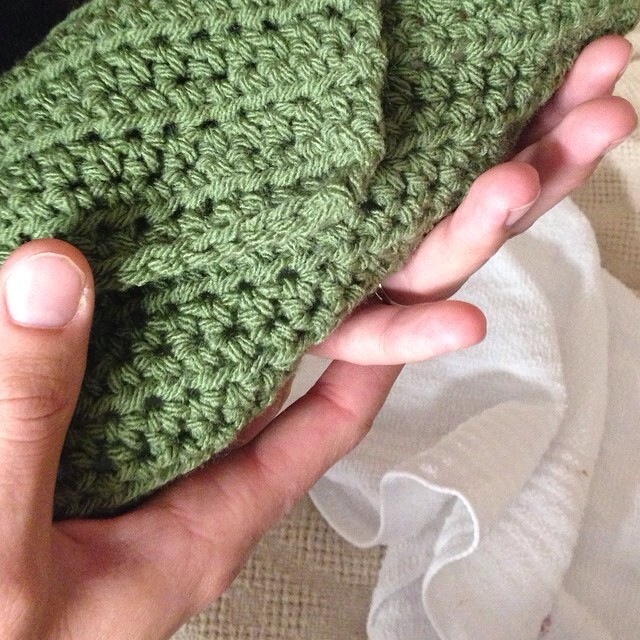 The doc came in shortly after and explained the process again, while I crocheted the little green blanket. she offered me every drug under the sun and though I am a natural birth junkie, I was ready to take anything and everything they could throw at me. We did one last ultrasound and saw our still baby. So very still… A while– and many tears– later, the doc came in and inserted the cytotec. That was it. The beginning of the end. More tears. They offered me sleeping pills, which as an insomniac I gladly accepted, only to find another drug to add to my list of medications that don’t affect Rachel! But The Lord is good and granted a little sleep. At 3am more cytotec was inserted. By 4, Milkman was still sleeping away in the fold out chair next to me. I began contracting. I kept telling myself I was going to ask for medication and as each contraction and cramp intensified, I would say to myself, “next one, I’ll hit the call button for morphine… Next one… I got this one…” I breathed. I read Psalms. I sang hymns quietly. One song in particular was a reoccurring theme the whole week since we had found out about the baby’s death and had sung in the hospital several times, was “10,000 Reasons.” I sang it quietly in the dark and then I felt a detaching. My membranes ruptured. And blood began pouring out of me. I cried. Oh, I cried so hard I shook. I woke Milkman who called our sweet nurse. She helped clean me up and asked if I wanted meds and I said “not yet” through the tears. It was the most awful feeling I have ever felt to feel my baby detaching from my body. I have had nightmares about it since. I bled more and contracted more. I felt a burning and knew the baby was on their way, and I pushed. It was still and dark in our room. Just me and Milkman, I saw this tiny little body come out of me at 6:05am, and Milkman and I began crying. He called for the nurse, who came in and panicked and asked for a doctor immediately, only to hear another nurse inform her that both docs were in surgery. I told her I was okay and delivered the placenta in two pieces. She began saying “oh your sweet baby, oh my God so tiny! Oh sweet baby, oh my goodness!” She tenderly wrapped him in a towel and handed him to me. I marveled at him. Oh, you just couldn’t believe it unless you saw it. He had the most perfect little feet. His toes looked like tiny little bubbles. I counted each one. His hands! Beautiful fingers, starting to form nail beds. He had the beginnings of nostrils and the tiniest mouth. My favorite part were his earlobes. Paper thin and just beginning to form. The sweetest little things you’ve ever seen. He was bigger than the docs had measured him at. He was fearfully and wonderfully made. I can’t even type this out without crying and smiling simultaneously. Milkman and I cried and pointed out each tiny feature. Milkman and I had picked out names for the baby. If a girl, we would name her Mary Jo after MM’s grandma and if a boy, Ezra Eugene. 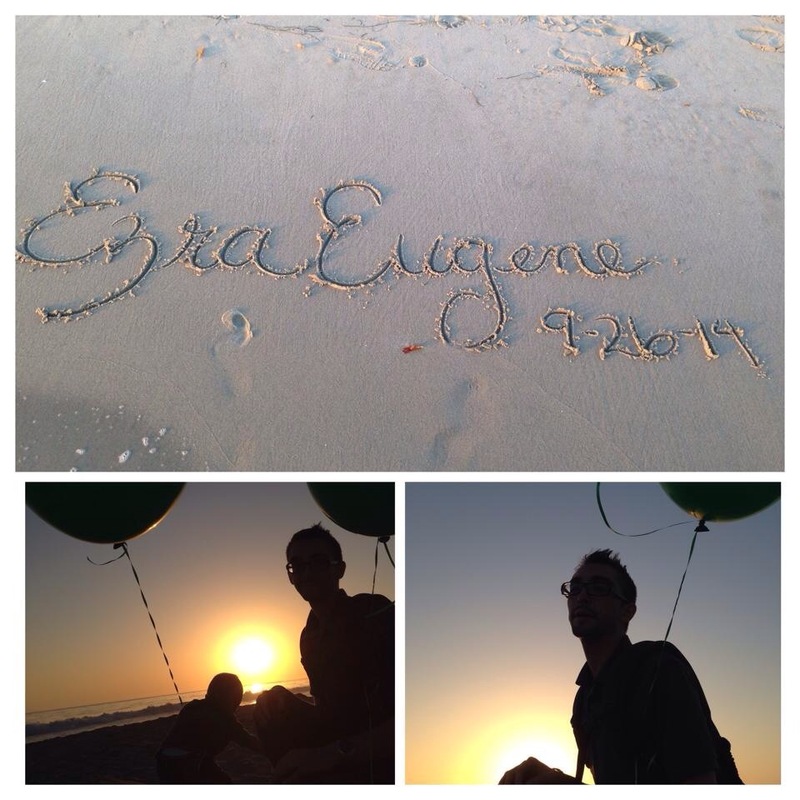 Ezra was a name we had both really liked and I wanted Eugene after MM’s grandpa whom I adore and am beyond intrigued by. Milkman held his little body and kept saying, “oh, my little Ezra!” His name fit him so well. After other medical issues, I finally did accept that morphine and I wrapped Ezra in the blanket I had made him. We met our day nurse, who was an angel, she was so tender with us. And I drifted in and out of sleep for an hour while holding Ezra. Our nurse came in and took pictures of our sweet, forever sleeping baby. She touched him tenderly, took his footprints in ink and in clay… She was so respectful of his little body. He was so precious. We filled out paperwork for his body to be released to the funeral home for cremation, and Milkman went to the pharmacy to fill my scrip for Methergine and Norco. I was alone with my little Ezra. I sang to him and talked to him. His mouth had opened a bit, and in a moment of emotion I expressed some of my breast milk onto my fingertip and gently placed a drop in his mouth. I wept. Milkman came back, we said our goodbyes and placed Ezra’s tiny little wrapped body in a white basket the Nurse brought in to carry his body to the mortuary at the hospital, where Ezra would be kept until the mortuary came to retrieve his body. When it was time for us to leave, the charge nurse came in and wrapped Ezra up and closed the lid to the basket and took his little body away. I felt so empty. Not spiritually, but physically. So deep was the void that he had left, I felt like my core was gone completely. We went the next day to the mortuary and signed papers for Ezra’s cremation. Signing my name wasn’t hard, but writing “mother” next to all the lines reading “relation to the deceased,” proved to be extremely difficult. One word. Mother. A powerful word that invokes thoughts of comfort, love, and protection, and nothing I could have done could have kept him from his death. I felt helpless writing that word. We were told he would be cremated the following Wednesday evening. I kept busy the next few days. Chasing the babies, washing dishes, cleaning floors, doing laundry. Nights were the hardest for both Milkman and I. The quiet reminded us of Ezra’s absence. On Wednesday we went to our favorite beach with Mamitas and Captain. 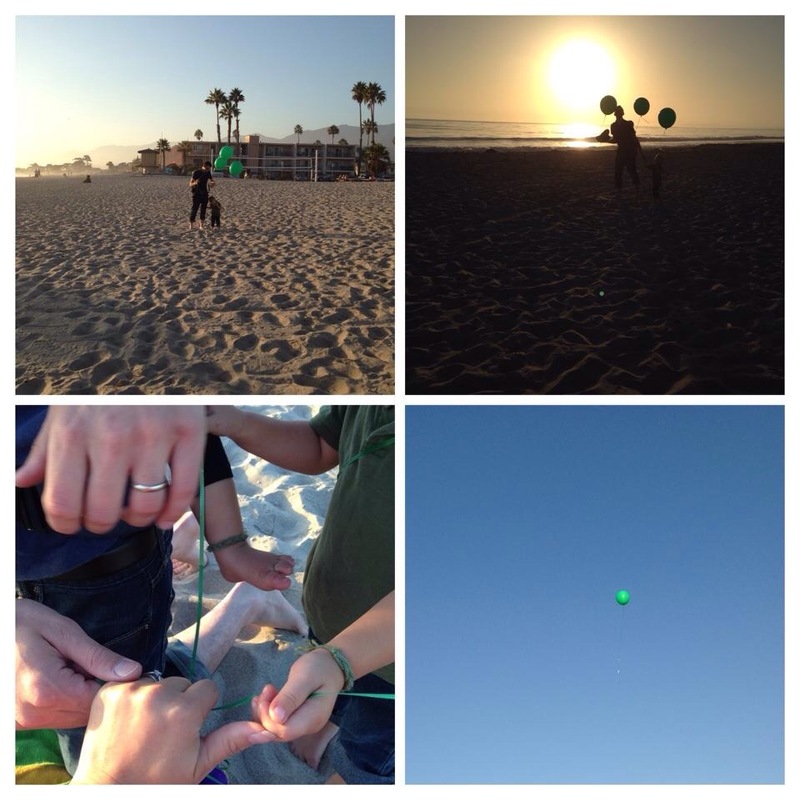 We got three, green balloons– one for each of our children. Captain jumped up and down with glee when we parked at the beach, “mama!!! Beach! Water, mama!” And then we tied his balloon to his belt loop and he was in heaven. Mamitas got into Milkman’s back in the Ergo and we tied her balloon to the Ergo strap. We walked along the beach and read a Psalm. Milkman prayed. We talked to the babies about Ezra, and explained what happened. 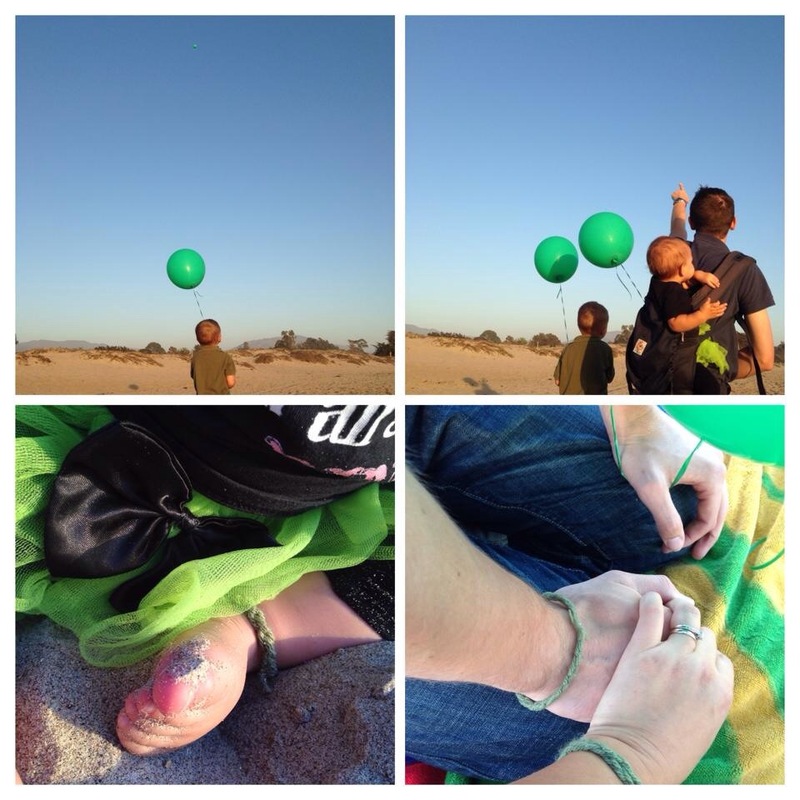 Then we let go of the third balloon and sent it up to the sky. Judah thought it was an “uh-oh” but watched it go up and I watched til the balloon became a dot in the sky and then ’til it disappeared. And I cried. Mamitas ate sand, as 13 month olds are want to do. Captain cried to go in the water and we explained it was too cold. He cried. Life has to go on when you have toddlers. They wait for no one. We went to dinner at the same restaurant where Milkman and I and my family ate after we were engaged 4 years ago. We laughed and talked. We marveled at our kiddos– all 3 of them and thanked The Lord for each of our children. The days since Ezra’s passing and birth have been a blur. Recovering from any birth is messy and painful. This was no exception. I’ve grown closer to The Lord and appreciated my children more. I’ve learned to accept love that people give, whether it’s in the form of donations, meals, notes, flowers, gifts, prayers, scripture, and words of encouragement. That has been a difficult thing for me as I dislike taking anything from anyone, but The Lord is working on me. I’ve had days where I’ve barely cried at all, and days where I’ve done nothing but cry. My milk came in much stronger than it has been for many months, and I like to think it was a gift from Ezra for Mamitas, who still very happily nurses, and nurses even more happily since the extra milk has come in. Her closeness has been comforting, as she is normally not a cuddly baby unless she’s nursing, and that’s all she’s wanted to do with the extra supply in. God is good. Ezra was so little when he died. It seemed senseless for such a young life to be taken so quickly. I don’t know why The Lord took him from us, but I do know it hasn’t been for naught. I’ve had people tell me that through sharing Ezra’s story it’s drawn their marriages together. 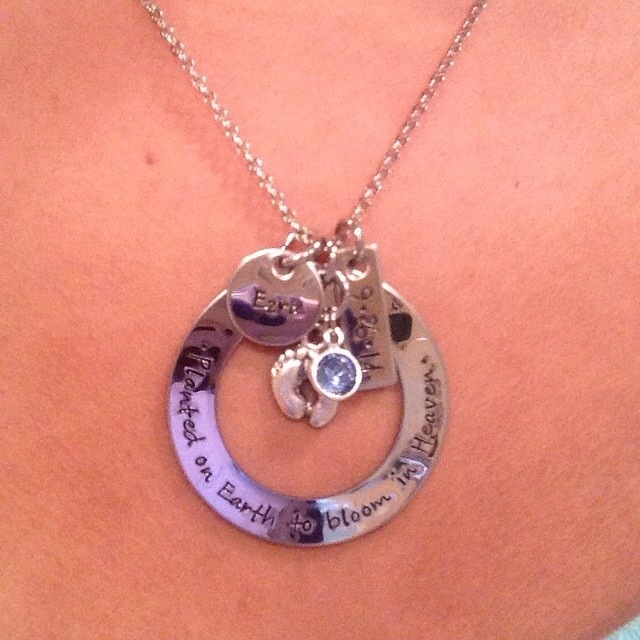 People tell me it helped them heal from previous emotional scars from their miscarriages. Some have shared that it’s made them cling closer to God. So in a way, Ezra’s short, little life has been full of purpose. His tiny little hands have touched many a heart. But none have felt that so much as I have. I pray The Lord blesses Milkman and I with many more children. I pray He does soon as Ezra’s absence is so strongly felt. But I know that whatever His plans are for our family, God is good. All of the time.